Audi fits bigger changes for this refresh, like new bumpers and doors. The interior of the headlights looks a little different, too. After recently seeing a refreshed Audi A4 Avant under development, we now have the opportunity to check out the updated sedan. The tweaks appear far more extensive than the model's last refresh. 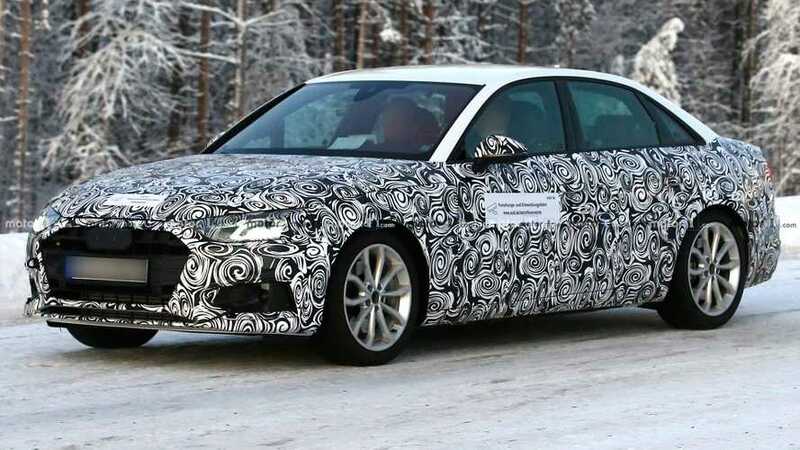 Audi's engineers keep the body of this sedan covered in camouflage, and there might also be some extra panels on the side of the car as a way to further conceal the revised silhouette. The latest updates for the A4 reportedly retain the current model's roofline but incorporates new fenders, doors, grille, and bumpers. The illumination in the headlights and taillights seems to have a different layout, even if the overall shape is the same. Some of the most attractive changes are at the rear where the fascia now surrounds the exhaust outlets. The tweaks let the Four Rings put a fresh-looking vehicle on the road without spending the cash to develop a whole new vehicle. If Audi is taking the time to make such significant changes to the exterior, expect at least a few tweaks on the inside, too. There are no spy shots of the cabin yet, but it's safe to expect the automaker's newest infotainment software and driver assistance features to remain competitive in the segment. Despite the major aesthetic upgrades, powertrain changes are likely to be very minor. The only tweaks might be revisions to make the powerplants compliant with the latest emissions standards, particularly in Europe. The A4 just received a refresh for the 2019 model year, but the changes were so minor that it took a knowledgeable viewer to notice the difference. Since the updated model is still so new, don't expect the latest revisions to arrive in showrooms until late next year at the earliest.